This article will show you how to deal with any side effects to lessen their impact. The right retinol product used correctly, can seriously change your skin – so read on to find out exactly what to do! Confusing….. Retinol is one of the Retinoids, or derivatives, of Vitamin A.
Retinol is one step ‘down’ from Retinoic Acid chemically, but it isn’t as strong so it can be tolerated easier. Retinol is still active and still effective, especially for anti aging concerns. Hence it can still cause side effects and needs to be used properly. *Important* These side effects are temporary, usually improving in 2 – 6weeks depending on your skin. Redness – usually accompanied with a ‘windburn’ feeling or hotness. This can start right after you apply it, or may develop later after you’ve used it a few times. To lessen this redness, don’t apply your retinol cream right after a hot shower or when your face is still hot from exercise. Hot rooms and extremes in temperature can make this worse, so try to avoid those as much as possible while your skin is getting used to it. Slight flaking and dry skin – Retinol increases turnover of skin cells, so the top layer of your skin is also turning over at a faster rate. These dead skin cells stay on skin’s surface and cause the flaking, or ‘dusting’. This is sometimes thought of as exfoliation. But technically it’s not exfoliating, as the dead skin cells aren’t removed (as they are in actual exfoliants such as glycolic acid which dissolve the cells). Continued use improves this. Don’t be tempted to use any harsh exfoliants at the same time, as this will irritate skin further. A soothing and hydrating mask used 2 or 3 times a week helps. A good day time moisturizer is important – one that’s hydrating and protecting. A thin layer of Vaseline applied right before bed (after the retinol product has had time to dry and soak into skin) does wonders. Don’t be afraid of Vaseline blocking pores, this is a myth! It’s molecules are too big….. so as long as you cleanse your face properly in the morning it can seriously help with dryness and flaking. Uncomfortable tightness – uncomfortable because tight feeling skin isn’t always a bad thing 🙂 This side effect generally feels as though your skin has been pulled in, and accompanies the ‘windburn’ feeling above. This can also be relieved by applying Vaseline at night or a soothing moisturizer over top. Itching – you can get slight itching, particularly on the cheek area. This comes from the speed up of cell turnover, kind of like how a wound itches when it’s healing. Not unbearable, but not fun either. Try make sure you don’t scratch roughly as skin is already sensitive. Use your finger tips lightly if it really needs an itch!…. Again, a thin layer of soothing moisturizer over top can make a difference. If it’s really bad, a cool wash cloth held to your skin for a few minutes will relieve it. If you normally have acne – which may be why you’re using Retinol in the first place – you may be more likely to experience this. 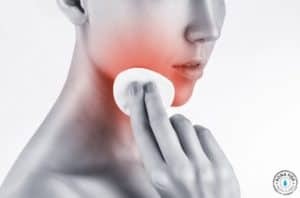 Even if your skin is clear, don’t be surprised if one or two breakouts come to the surface when you first start using it. It can just be some ‘underlying’ breakouts coming to the surface, made faster by the action of retinol. Keep using the product and know that this is temporary. Once skin is more balanced, it will be clearer over all! It may be that your skin just doesn’t tolerate Retinol. In fact, some people have more luck with the prescription Vitamin A than over the counter (OTC) retinol! If you’re using a good Retinol product (such as this one) and building it up slowly and carefully, but find your skin really can’t tolerate it, consider speaking to a dermatologist. A prescription Vitamin A might work better for you. Irritation to the eyes can also happen. Stop using the product and see your doctor. 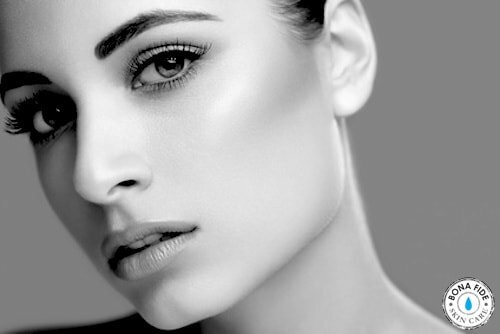 Always make sure you don’t apply the product to the eye area – go no higher than the orbital bone. The following nine tips will help you get the most out of using Retinol by building up your skins tolerance correctly – so you can experience the benefits while lessening the side effects! Put a small amount of cream behind your ear, just underneath your jaw or the inside of your arm and leave for 12 – 24hours. If there is no reaction, continue use on your face. Use a mild cleanser at least in the first few weeks of use. An exfoliating cleanser may make your skin more sensitive. Apply it 2 or 3 times at night. For the next two weeks, apply it every 2nd night. Decrease to every 3rd night any time you feel it’s too much. You should be seeing benefits already and have a good idea of how your skin is tolerating it. If it’s tolerating well, increase usage to nightly application. Once skins tolerance is built after about 8 – 12 weeks, it is fairly easy to use nightly. And this is when the real results start to show! Doubling up daily dosage doesn’t double the results, but may double the side effects. Plus the Vitamin A molecule is very sensitive to sunlight, so it’s best to use it at night anyway. Stop using any AHA’s or BHA’s. After this time or longer (you will be able to tell when your skin is able to handle it) you can then reintroduce these products. Use them in the morning to lessen irritation. …some people like to apply the exfoliant directly before using retinol. This can increase the benefits. Be careful with this approach, go slowly and monitor your skin. Retinol is an amazing product and almost everyone should use it. But, it is vital to use it properly to maximize the results and to lessen the side effects! It may seem a bit scary, but it’s not – used correctly it can do amazing things for your skin! Just remember some side effects are expected with such an active product. Use caution and take your time – trying to ‘push through’ any side effects won’t get you the results faster! I used RoC Deep Wrinkle Cream w/retinol for the first time Friday night March 15 2019, when I woke up Saturday morning my face was completely irritated, covered in little zits and red blotches all over and its unbelievably itchy. Today is Tuesday March 19th and there is no improvement infact the itching is worse.. I tried to allow this irritation to subside on its own but I’ll be going to the Doctors tomorrow. Yes , it’s normal do not worry about it , but first of all you should be doing that what you did to your skin when you are using retinol , it’ll turnover new cells very fastly that you’ll face redness , itching , sensitivity , burning in skin , also tightness as well , so in your case ,it does makes your skin dry also if you’ve noticed carefully there is a dead layer of your skin appears on your face while using it , so basically you scraped that layer by yourself before it’s dead completely , that’s why it’s burning and your skin is even more sensitive now , you should not touch your skin let this process happen on its own in a natural way . Understand ? So now you should be very careful with the sun and any kind of heating product , now you should be applying good alo vera soothing gels on your skin , which is doctors recommend like good product of alo Vera it will sooth your skin , and now you should stop using that retinol for at least 4 days , after 4 days apply it again in a little amount in the night . ! Has ANYONE, experienced or heard of, a lady developing itching down below after commencing this product ? I have started to feel my eyes getting dry . ( not the skin but my eyes , as if I have less tears ) my eyes are NOT irritated , not red nor puffy . Simply dry feeling .I have read that this can be a side effect . Does this side effect tend to go away? I started using retinol a few weeks ago and now my skin looks horrible. Fine lines showed on my forehead, pores appear larger, and skin has a rough texture. I’m wondering if I should continue .. I started using an awesome new product with retinol in it and my skin has been the best it’s ever been. Everyone has been commenting on how young I look. What product are you using? My routine is anything but routine. I no longer use soap on my face with only the occasional exception once a week. I rinse with cool to warm water, apply a liberal amount of Retin-A, in the morning I rinse again, apply baby oil which sinks in almost immediately (I may re-apply 2 or 3 times). after about 30 minutes to an hour I apply sunscreen, then let it absorb if applying makeup-if not them I’m ready for the day. The baby oil immediately relieves burning, itching, and irritation, it costs 1/3 of expensive moisturizers, works rapidly, and the results are amazing. I won’t trade my “routine” for anything. I used a 1% retinol cream on my decoltage and had a serious reaction. I broke out in a rash. Is this normal and should I continue to use on this sensitive area? I have read the article which is very helpful , thank you. But after reading all the comments not one person has had a possitive reaction or said their skin is healthy and fine lines are looking much better than before!! Why are we bothering to use at all if it’s all negative?! Feeling worried as I have just bought The Ordinary 0.2% and after reading this I’m having serious doubts if to bother using it. Keep in mind the article is about side effects. I doubt people having no side effects would be googling and finding this article. It makes sense to me that the comments are mostly people with reactions. Condider the audience. I use it with no problems until this week. I had a mild reaction. After reading this article I think it was because i put it on diectly after a hot bath. Now i know better! I will resume using it for sure! Hi L Jones. I have purchased 0.5% retinol by The ordinary last week. Used it twice consecutively. No irritation till now. Play by the rules and just go slow. I have read a couple of articles which said The ordinary will have little to no irritation at all. My skin is sensitive. I had no dryness since my skin is super oily already. Hope this helps. Thanks. I have always had oily, acne-prone skin. It has been almost two months that I have started using SkinMedica Retinol .25% and my face has had the worst breakouts that I have ever had in my life. I was just wondering how much longer I should wait for this to cease or if I should discontinue using the product now. Retin-A DAMAGED by eye area. I have under eye bags and wrinkles, and Retin-A burned and made them worse! I have tried everything – hyaluronic and retinol serums, oils, eye creams – you name it! Nothing made a difference. So I tried several products on Amazon, and the one that worked the best was the Somaluxe Renewal Serum because it restored hydration, plumped up the area and smoothed out the texture. I’m happy to report that I think I’ve found the product that has helped my tired eyes. Good luck to you as well! I have started a retinol cream I purchased from my dermatologist .05. I probably started to quickly and put it on 3 nights in a row, now my skin seems a bit red, tight and a bit blotchy. Is that normal? I stopped using it about 3 days ago and was wondering how long this might take to subside. I started using retinol from Retriderm over a month ago and it only made my combination skin oilier and I’ve had a few breakouts. I’ve switched to tretinoin (acretin 0.25) and it’s still making my skin oily. Is this normal? I’m 23 and have been using the products 2-3 times a week, how often should I be using it?Also, is the excess oil my skins way of saying to cut down on products? I stopped using the facial oil my facials recommended over the retinol because my skin feels way too oily the next day and I’m scared of breaking out. Is the product working even though it’s not drying out my skin? It’s possible the tretinoin is making your skin oily, this could be a reaction to it actually drying out your skin so it is overcompensating. This should get better with use. However, it is really important to see your dermatologist for any concerns you have as I can’t give you specific advice about your skin. Good luck! I’ve heard that once you start to use retinol you have to continue to use it in a stronger ‘dose’ after approximately a year as it ceases to work, is this correct? Some product companies have different doses that encourage you to start lower and work up to the higher doses. This is to lessen side effects rather than the efficacy of the dose and is possibly a marketing ploy to encourage you to keeping buying. A good way to give your retinol a boost if you’re using it long term is to give your skin a “break” of 2 – 4 weeks occasionally. Also, adding a glycolic acid product and/or vitamin C serum to your routine can be beneficial. Thank you so much, that’s very helpful. I’ve never been able to find a satisfactory answer before & have been worried about starting something which might harm my skin for the future. I started using a retinol cream about a month ago & have had no side effects but no change either so I must be patient & persevere. Thank you so much. I just started incorporating a retinoid into my skincare regimen and I’ve been having some unpleasant effects. My skin feels rough and I’m getting some breakouts. I stopped using for a few days, but decided to apply last night. My philosophy was that I needed to let it try to do its job first before giving up. GREAT article! I finally found the answers to my questions! Have retinol burn on neck and eyes. Your q & a series really helped! I have been using Roc deep wrinkle noght time cream for 6 mths or so – now starting to see red bumps size of pimples around lower part of eyes – what is happening? why does my skin sag after using retinol on my face. i’am 70 yrs young. Is retinol bad in shaving cream? I use a shaving butter which has Vitamin A listed as one of ingredients however I always wash my face right after shave, so its on skin only for like 10 mins, is that duration enough concern in long-terms to cause cancers or tumor with skin absorption? I did not face any other issues like redness, rashes etc. I mainly got retinol cream for a few fine lines under my eyes Can you use a retinol under the eyes or do you have to use one specifically designed for around the eyes.Also can a LED mask be used whilst using retinol say one night retinol and the other night the mask. ALthough you said to alternate the led mask with the retinol on another reply you said to wait at least a week.I’m even more confused now. With the LED mask I do use 15 minutes red light and 5 minutes the blue light and then on the next night I use the retinol cream only.Is this ok? Hmm I think it was me who got confused on the last question, which I’ll edit – it should have been a week after sun exposure (normal daily sun exposure is fine if you use sunscreen, but any tanning/sunbeds/sunburn etc wait a week). 24hours after light therapy to be cautious, always better to be cautious. HOWEVER this is general advice – as always please check with your derm or the manufacturer/company. Hello, I purchased Neutrogena with retinol and used it for couple of days and my eyes are so swollen up under them and looks like water build up under my skin. I can actually move the liquid around there is so much of it. I have a rash all over my face and neck. Is there anything I can do to help this other than I have stopped using the cream? Is this a normal side effect? Please help. I am 61 years old and only tried to see if it would help with fine lines. Thank you for any advice or information. This does sound like a reaction – I’m glad you’ve stopped using it. While it may not have been the product – it’s likely it was if you had just started using it. Something in it doesn’t agree with you so definitely stop using it for good (it may or may not be the retinol, it’s possible there is another ingredient in it you are allergic to). If this reaction doesn’t get start getting better quickly I would recommend seeing a pharmacist or doctor to be on the safe side. You should be fine however, one thing about product reactions is they usually disappear after you stop using the product! I’m experiencing the same side affects. I have been using a few weeks, it looks really bad, very red, actually hurts to touch around eyes, bumps, rashes, flaking skin, lots of luiquid build up under eyes, slight film on eyeball. I should also add I’m only using the specific eye serum around my eyes, I’m using the face serum & night cream on my face w/no side effects . Hi – the first time I used retinol my eyes puffed up so I stopped for a couple of days and then made sure I avoided eye area. I seem to be fine now and am using it every other night. I am wondering how long it takes retinol to leave your skin. I am considering red-light therapy and I can not use retinol while doing so. Any advise would be helpful. Thank you. I use retinol acid for the past 3 months and notice i get break outs with smal fines whiteheads is this part of the process, not sure if this is good for me acne has become worse..
Hello i have a question . I applied a retinol mask for 30min then i had to take it off at the beginning i felt a birnimg sensation but i continued to use it after the 30 min i took it of and washed my face a couple of days after my face was so dry very itchy and now is been about 2 weeks and is starting to peel off but is mostly on one side of my face. I’ve been trying different moisturizers on my face but nothing is helping. My chin broke up with pimples and i never had pinmples. My question is what can i use to relieve my dry flaky skin im tired of it is the worse dry feeling ever. I have ezema om my hand and i really thought i was getting it on my face but as im reading it was caused by retinol. How long will it take to go away i only used it once. Hi I’ve got the same problem,I have just purchased some Hydrocortisone cream from the pharmacy. It definitely think it’s helping,I have read this as well on similar sites so may be worth a try. It’s pretty upsetting when you try to improve skin and it just looks worse! Yes this was very helpful to me as well. I have started flaking from using the retiniol. It truly scared me until I came across this article and it taught me the side effects. So, I’ve literally used the Skinmedica just once about 6 nights ago. I’ve also started using a prescription brightening cream (both from my dermatologist). The last two days I’ve noticed small rash like bumps on my chin and jawline of my face. I thought my lips were chapped, but now I think it’s part of the reaction. I’m going to call my doctor in the morning, but wanted to ask if you think this is a normal reaction. I’m not experiencing redness. I’m quit allergic to many ingredients in products, but I checked and neither of these items have something I’m allergic to. I’d love to know your thoughts. Thank you for this. Its helped me understand what to expect on my first week (and first time) use of retinol by skinmedica. I am experiencing the drying and dusting especially around the mouth. This should improve with continued use – in the mean time you can use another plain cream or Vaseline/Aquaphor over top to help with dryness, and possibly cut down the frequency of use if it is bad. eyes have dark circles around them and looks like I have water retention around eye. What can I do? I am 37 yrs old and have been using retinol( environ lowest dose) for 1 month now. I am noticing slight fine lines to the side of my mouth and chin. Has anyone else experienced this? My skin looks a lot worse after 7 weeks. Wrinkles on my forehead I never had before. Was only trying to prevent crows feet and it worse now then ever. So even though you will get some reactions like peeling and redness in the beginning you should continue to use it ? Will continuing use help remove some of the flaking ?? Argh I’m so over this my fave has been a rough mess for 3 weeks ! It does depend how bad those reactions are – definitely reduce the frequency to every third night for a while. Even once week and build up VERY slow. Continued use does reduce the flaking. It would be fairly rare for an OTC product to give an extreme reaction, perhaps you are on a prescribed retinoid? If that’s the case I would speak to your doctor – but more severe side effects are usually associated with that stronger type.. I used Retinol 1% i squalane from The Ordinary and my skin reacts like all of the above. I cannot use my normal cream, my hyaluronic acid or any of my oils because it hurts to much whenever i apply a moisturizing product . Should i just buy vaseline instead? Hi! Aquaphor might be a good choice, especially because it is easier to apply than Vaseline if you are using it on most of your face. I’m not sure how often you are applying the retinol but do give your skin a break until the pain and sensitivity goes away. You could also try mixing the retinol cream with a bit of Aquaphor or your normal cream once you start using it again, and build up that way. Hope that helps! Yes. 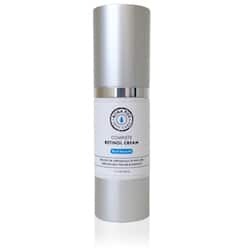 Aquaphor is very soothing on sensitive, retinol burned or irritated skin. I speak from experience! Vaseline will help too, but Aquaphor works best! Good luck! I have used Retinol cream for several months, but now I am experiencing redness and itching ! Your article has helped. Great to hear it helped – thank you for your comment! !